In our previous ark of covenant conference in October, 2016, Michael Rood, the keynote speaker, mentioned that Rev. Henry Gruver was an important witness. Shlomo Goren, a Chief Rabbi of Israel, who claimed to have had seen the ark of the covenant authenticated the account of Rev. Henry Gruver, and invited Rev. Henry to a secret meeting to share with a number of Rabbis about Ron Wyatt’s discovery of the ark of the covenant. Rev. Henry Gruver had known Ron Wyatt who discovered the ark of the covenant for many years, and he traveled with Ron in his archaeological discovery trips. In around 1990, Demos Shakarian, the founder of the Full Gospel Business Men’s Fellowship (FGBMF), asked Rev. 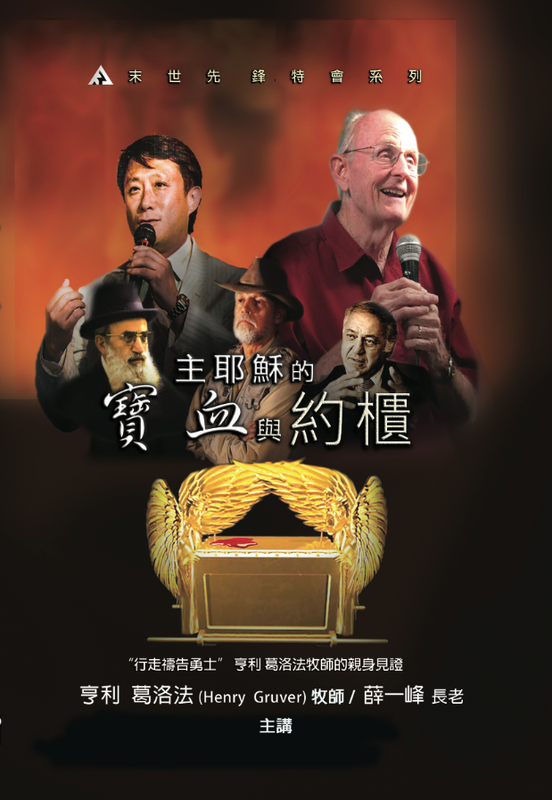 Henry to arrange Ron to speak about his discovery of the ark of the covenant at the Southwest Regional Convention of FGBMF, in Phoenix, Arizona. That was the first time Ron publically shared his discovery of the ark of the covenant to the world. Furthermore, Ron shared at this convention about the lab test report pertained to the Jesus’ blood sample he took from the ark of the covenant. Prior to the convention, Demos assembled a special meeting with Ron Wyatt, an attorney and a document specialist to validate the certificates he had received from the laboratories, proving the authenticity of the samples taken from his discoveries. Henry Gruver was involved and witnessed the whole meeting. In this conference, Rev. Henry Gruver will share the first hand information he obtained from Ron Wyatt, proving the authenticity of Ron’s discovery. Also he will dissect bible verses to show us the significant revelations of the ark of the covenant. Also elder Paul Hsieh, the founder of Kingdom for Jesus Ministries, will share his research finding about this subject in different facets. This conference surely will ignite your fiery desire for the second coming of Jesus Christ, and kindle your passion to bring people to know Jesus Christ. Rev. Henry Gruver is God’s close friend, and has continuously walked in signs, wonders and miracles. He has become known as a “Prayer Walker to the World.” Henry started walking with the Lord on the Skid Row streets of Phoenix, Arizona in 1961 at the age of 18. Today at Seventy-three, he is still walking with God. Nations such as America, Israel, Russia, Britain, China, Japan, Korea, Taiwan, and Singapore. have been blessed through him. Under God’s annointing, his prayer breaks both demonic strongholds and the curse of shedding innocent blood. Wherever his Heavenly Father leads him, he prays and declares God’s forgiveness and healing over the lands, and ultimately brings the transformation to cities. God’s wisdom and revelations bless many through his life. He is acknowledged as a prophetic pastor. Paul Hsieh, the founder of Kindom for Jesus Ministries, for many years has served at the Well ministry of Pasadena International House of Prayer. He is in charge of the bible teaching ministry of Impact Harvest Church. Paul’s calling is to be a prophetic voice for the Chinese body of Christ, to bring the awareness of the signs of the end time, and to prepare the way for the returning messiah, Jesus Christ, and His Kingdom.